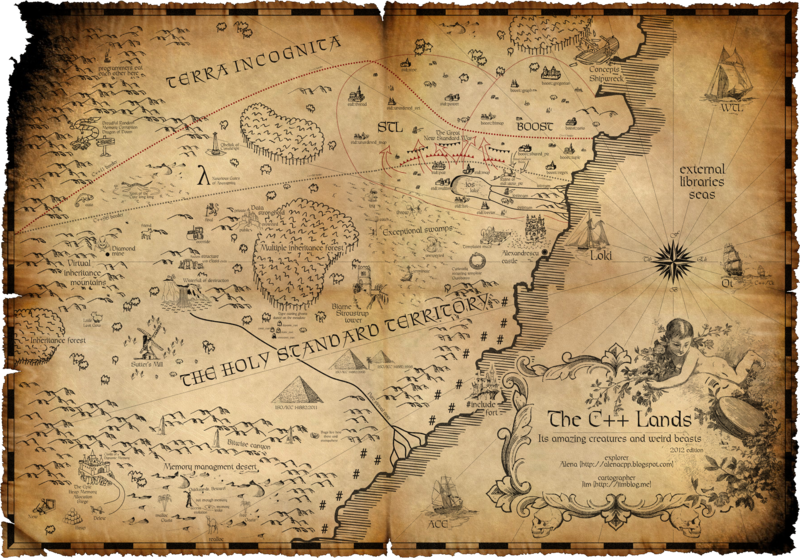 A super-cool map of C++, via the Boost mailing list. This entry was posted in Life, Software on June 23, 2012 by Jim. A cool new (for me) site, cppreference.com. A super-navigable, super-clean C++ reference, including C++11. The only thing missing is a search box, but the search engines give you that. This entry was posted in Software, Technical on June 22, 2012 by Jim.